Figure 2- Google Searches containing the term ALS . Circled are, in order, the results for August, september, and October. Now that the Ebola Virus is seemingly becoming more and more of a threat to United States citizens, more and more citizens of the United States, and people in other countries are consulting Google to find out more about the disease and know their risk. In fact, an increase in google searches about a disease can indicate an increase of interest or worry concerning the disease. 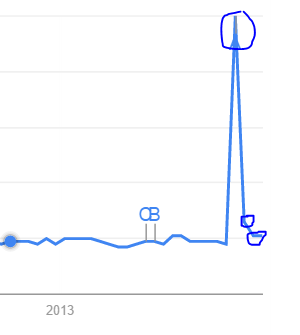 Above, the statistics for searches for Ebola or related searches peaked in October. It began to increase in August and September as well. 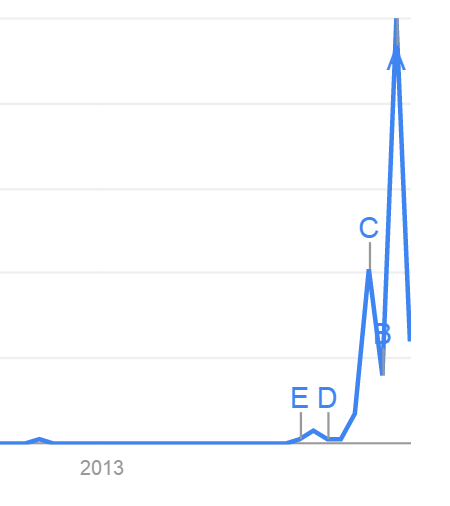 The statistics for searches for ALS however, peaked in August and fell dramatically in September and October. As more people became aware of the threat of Ebola, it seems as if ALS became less of an interest to the public, despite the issue not have been fixed. It seems as if the public cannot care about two diseases at the same time. This also might be a coincidence. Comparing Ebola and Cancer, no clear results are seen. Cancer maintains a steady amount of “publicity” even when the Ebola virus began to be a problem for Americans. So is the publicity of diseases a fad, is it true that diseases are given attention for a few months an then forgotten? Or is the case of Ebola and ALS a special case? Feel free to vote on what you think is right below, and leave a comment expressing why you think so.